We have been reading Nighttime Ninja to my son for years. 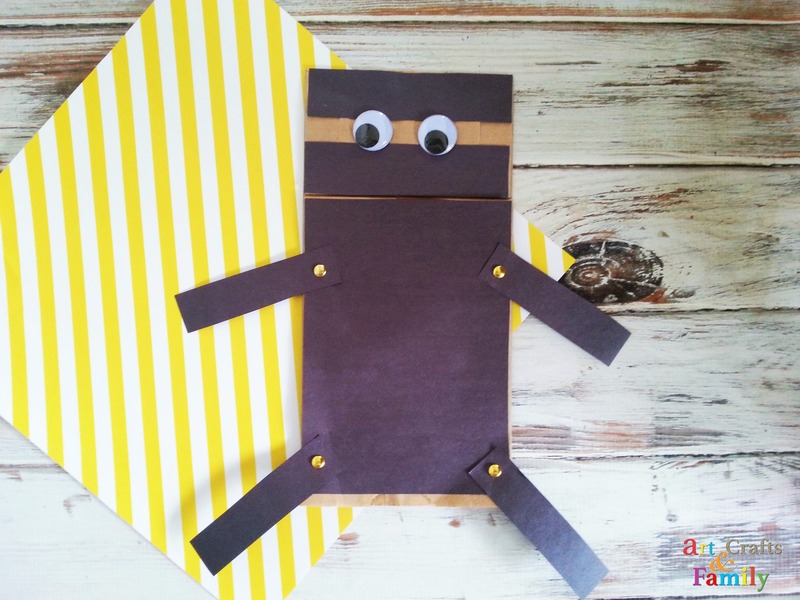 Now that he can read it on his own, we decided to have him make this quick and easy Paper Bag Ninja Puppet to connect with the book. He is at that age where his imagination is really taking off. Connecting reading with art helps develop his imagination further and makes reading even more fun. With his puppet he can make Nighttime Ninja go on new adventures. 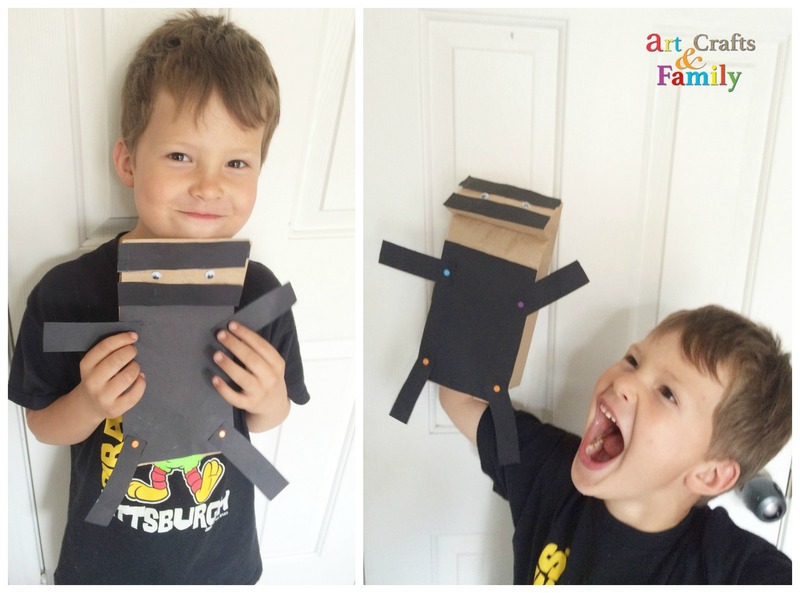 With a brown paper bag, black construction paper, googley eyes, and brads, you can make the Ninja Puppet too! Using your pen and ruler, measure out a rectangle the size of the lower part of the paper bag (turned upside down) for the body. Approximately 5 inches by 7 inches. Then measure out the two rectangles for the face mask. About 1 1/4 inches by 5 inches. 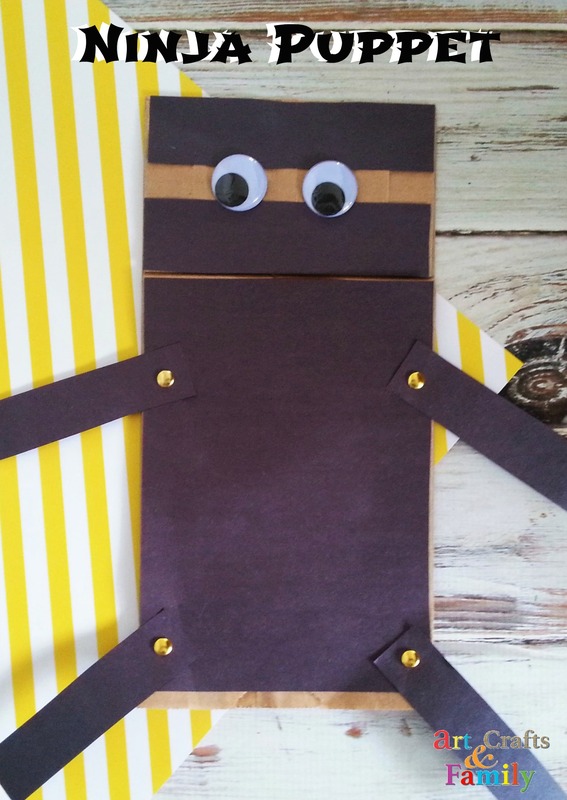 Then we need 4 rectangles for the arms and legs. Approximately 1 inch by 4 inches. Cut all these out. 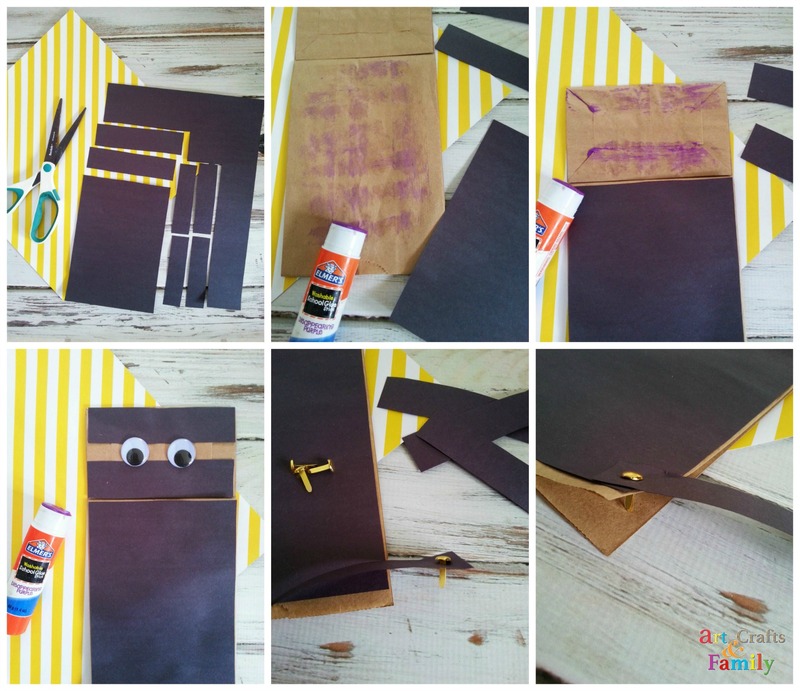 A great exercise for young kids to practice their scissor skills. Turn your paper lunch bag upside down, so the opening is down. Make sure the actual bottom of the bag that is folded down (which will be the face) is facing you. Using your glue stick glue on the strips, leaving a space in the middle. Glue on your googley eyes where the space is. Glue on the large rectangle for the body. Taking one of your brads, pierce a small hole in the end of one of the strips for the arms/legs. 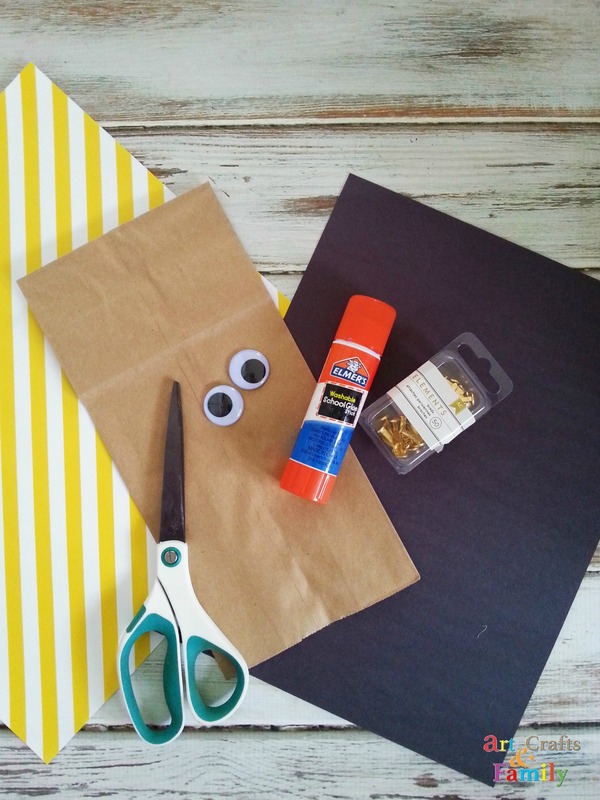 Then, pierce a small hole through the bag, making sure you don’t go all the way through the bag, and just the top crease or fold in the side of the bag. Spread the edges of the brad out to secure the arm/leg. Repeat with the other three brads and strips until you have two arms and two legs. Now your ninja can move their arms and legs. Place your hand in the bag and you can move his mouth too. As mentioned above, one of our favorites is Nighttime Ninja! Get it >>>HERE! As you can see, my son had a blast making his!